What is the best way to clean and care for my wooden spoon? All wood products should be hand washed. The heat and chemicals of a dishwasher are harmful to wood’s naturally porous texture. If your spoon begins to show signs of wear, its finish can be restored with a food safe wood conditioner. First, clean and dry the spoon. Then, apply the wood conditioner with a soft cloth or paper towel. Once the conditioner has soaked into the spoon, buff off any excess with a clean cloth. Having excess conditioner on a wooden spoon will make it feel sticky or oily. 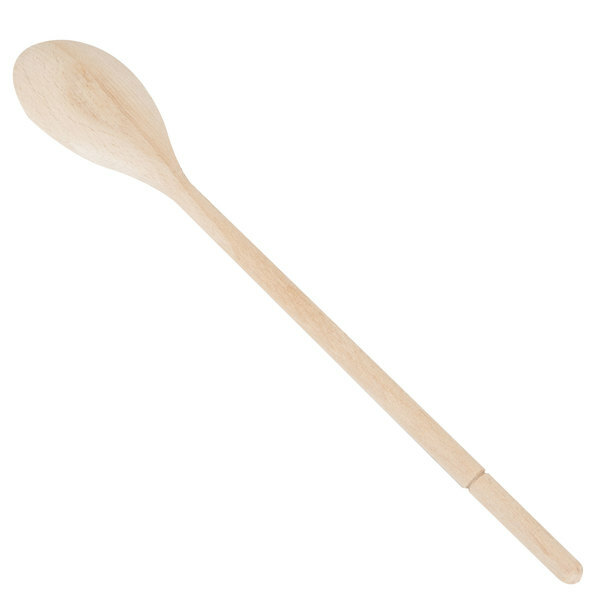 This 14" wooden spoon is great for stirring sauces, soups, and so much more. 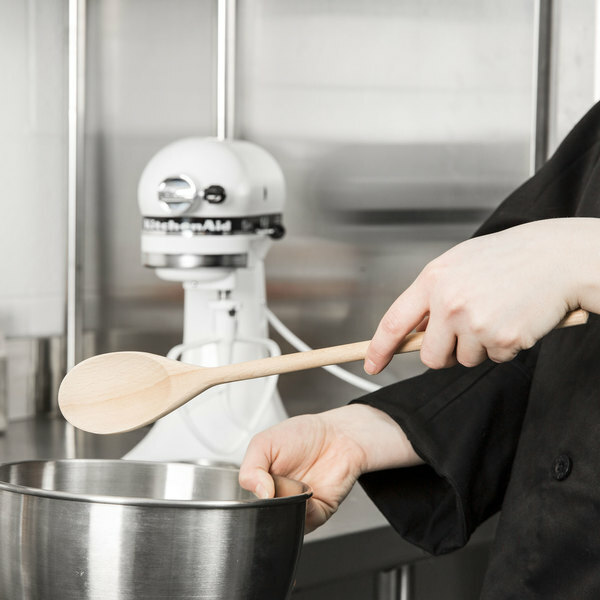 An indispensable kitchen tool, this spoon is made of durable yet lightweight beechwood and features a 5/8" diameter handle, perfect for mixing even the thickest doughs and batters. The broad and oval concave bowl enables thorough mixing, stirring, and tossing of ingredients during food preparation, while the smooth edges and sanded surface ensure a quality product for your kitchen's use. 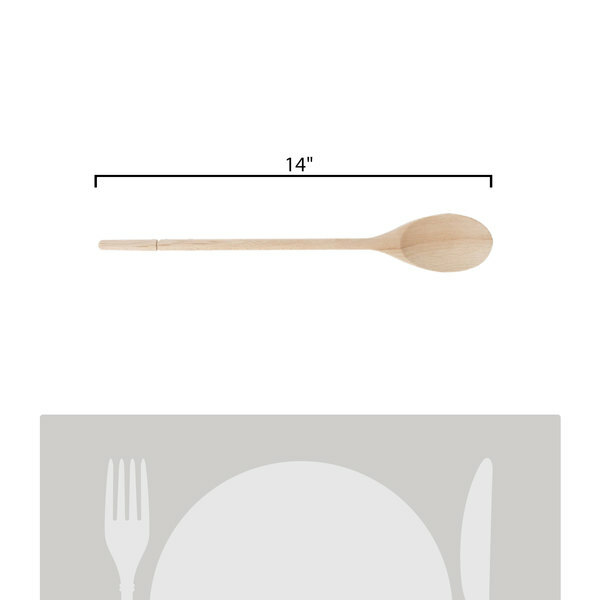 Ideal for non-stick cookware, this spoon will not scratch or mar delicate surfaces and the one-piece construction eliminates hard to clean crevices that collect bacteria for a more sanitary kitchen tool. Great spoon. Long and dies the job just fine. Will not break easy. Very good quality. Highly recommended to anyone in the restaurant industry. Five stars. These are absolutely perfect! We leave them in jars for customers to scoop their own products into containers. We've never had an issue with them splitting or coming apart in any way. The spoon is very nice, but perhaps a bit rough in the curves. The sticky residue for the labels is incredibly annoying, but nothing that can't be solved with a bit of warm water and soap. I needed a wooden spoon to use with my sourdough starter as I couldn't use metal and the plastic spoon I had wasn't long enough. This spoon is the perfect size to fit in the container to stir after feeding. I was surprised by the thickness and weight of these considering their low price. The quality is amazing. I like to keep a lot on hand in my kitchens. Buy these in bulk! You WONT be disappointed. 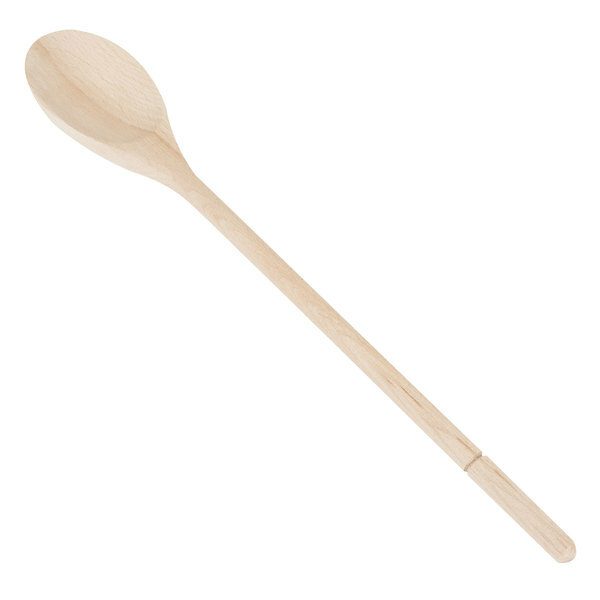 These are great basic wooden spoons that are essential for a kitchen and feel smooth. Good for mixing non sticky foods make sure to handwash them . Nice and smooth, not splintery like some other wooden spoons. I like the length, which makes it great for stirring in the deepest of my pots. This is a pretty nice wooden spoon. The price is very fair. I would say that it is better made than most wooden spoons you'd buy in a super market or home store. At this price, pick one up and decide for yourself. You have nothing to lose. I love the Beachwood spoons. They are so much nicer than the others they are definitely worth the upgrade. The wood is more dense and heavy weight. We got them for our bigger pots to handle the increased load. The spoon is a great deal. It is very reasonably priced for such a high quality spoon, looks good, is sturdy, functions well, and feels nice in the hand. The 14 inch size grants extra leverage and power without being unwieldy like larger spoons. These beechwood spoons are a great size and feel nice in your hand. They have a slightly smoother finish than the regular wooden spoons. I prefer wooden spoons for cooking even if I'm not using nonstick cookware simply because I like the feel of the wood in my hand. The 14in length is a great basic length. What more can you ask for from a wooden spoon? It's lightweight, but strong enough to really put your back into it when mixing a heavy batter. Like most wooden spoons, it does pick up flavors pretty easily, but I just keep the one I use on sauces and savory food separate from the one I use on batter and baked goods, haven't had a problem yet. This fourteen inch Beechwood wooden spoon is perfect for large mixing bowls. I use this size with five to eight quart mixing bowls and it fits great. The spoon is a standard wooden spoon without any extra bells and whistles that need cleaning. I found it cleans well and shows no sign of wear. I would recommend this spoon. This is a good, solid wooden spoon. I think the 14” length is perfect—It can get into deep pots. It feels sturdy and well made. I would recommend this product. Wooden spoons are very valuable in the kitchen. 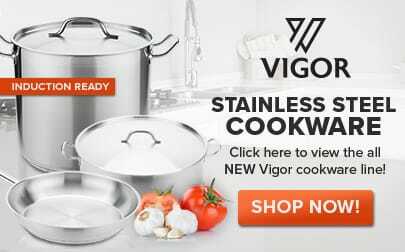 They can be used on non-stick cookware without worrying about damaging the cookware. 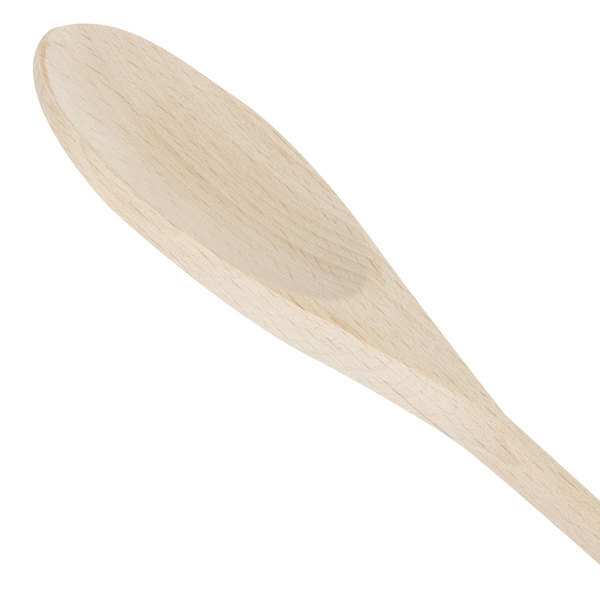 Wooden spoons are also made of wood and not plastic. Some plastic spoons may contain BPA. 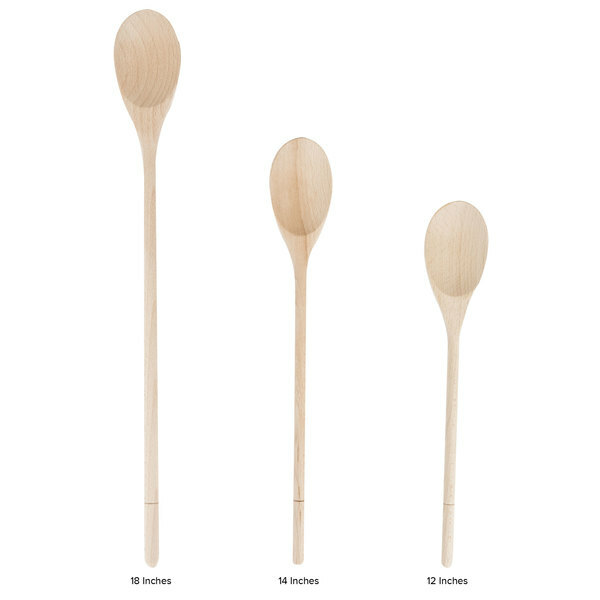 These beechwood spoons in a variety of sizes to fit all your needs. This long handle wooden spoon is perfect for cooking in an enameled dutch oven. It wont damage the finish and is easy to handlle. I use it to toast spices in cast iron as well.